Seems like Maruti cannot go wrong, being the auto major in India it has won the hearts of millions of Indians. With its sales chart always on a high it seems they have got all the ingredients to make the most out of the Indian markets. With the success of its recently launched new Maruti Swift, the India’s biggest car manufacturer has stamped the authority and proven its pedigree in the auto market amongst the big luxury brands rapidly growing in the competent Indian automobile market. The desirable model has begged the Indian Car of the Year award (ICOTY) this year, with some serious competitors like Hyundai EON, Honda Brio, Hyundai Verna and Toyota Etios to name some. But the Maruti’s family car was able to impress the judges and win the title and add another feather to the cap for the Maruti Udhyog and won the accolades and fans around the country.With Swift taking away the title as it stood first, second and third positions were bagged by Honda Brio and Hyundai Eon respectively. However, Mahindra XUV-500 and Hyundai Eon were capturing many eyeballs in there own way and made quite a buzz about what they had in offer. Maruti Swift’s price is very much affordable for the consumers making it their favourite pick while it floored the critics with its other charms. 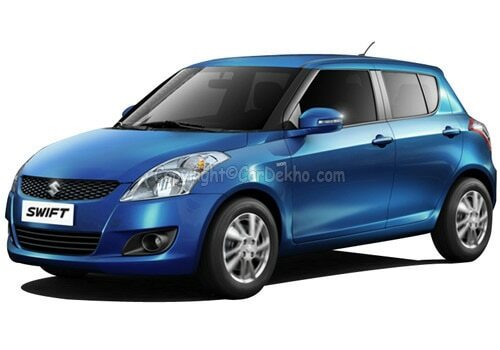 When New Maruti Swift was launched in Delhi in both petrol and diesel versions it already garnered a huge number of bookings which was in itself a proof of the popularity of this sedan. New Maruti Swift price for the petrol variant starts at Rs 4.2 lakh while the price for the diesel variant starts at Rs 5.17 lakh. According to the new Maruti Swift review in total, Maruti India has rolled out 6 variants of this model, three each of petrol and diesel.